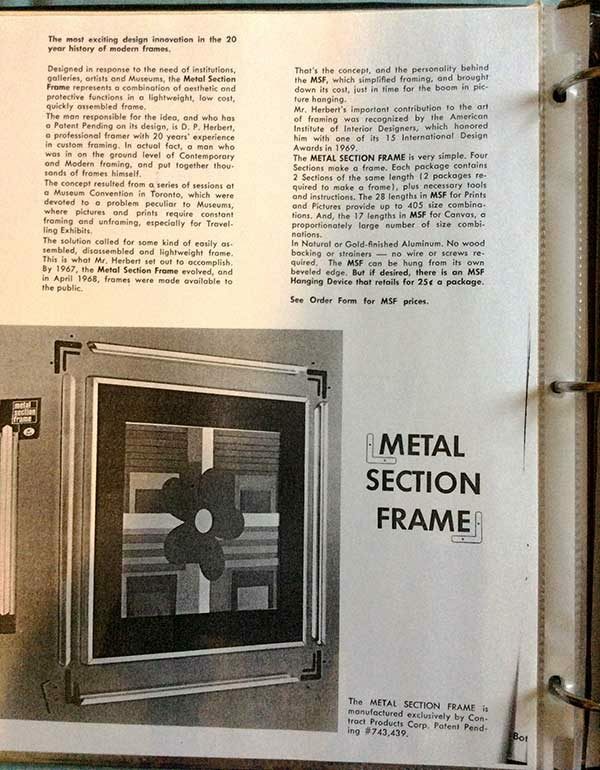 “…Which directly led to the invention of the metal section frame – a type of frame used widely throughout the industry as an often minimal and less expensive frame design.” – ASF blog from July 14, 2016, original wording. When we first posted a few weeks back regarding the history of the welded aluminum frame, it was brought to our attention that we had some of our information wrong – specifically our inference that Kulicke’s design of the welded aluminum frame also directly led to his designing the metal section frame. We received an email from Catherine Herbert Yee, daughter of Donald P. Herbert, a few weeks after the original post went live which corrected our assumption. In her email she told us that her late father was the designer and inventor of this frame and held multiple patents and design awards for it. We quickly apologized to Catherine for the inference, changed our wording on the post and went on about our day. But later it occurred to us that we couldn’t be the only framers who’ve made this assumption, as we came by it quite naturally, especially considering the New York Times obituary regarding Kulicke’s death states the invention of this ubiquitous frame was indeed Kulicke’s. It was a statement that never occurred to us to look into further or in fact that it needed to be. 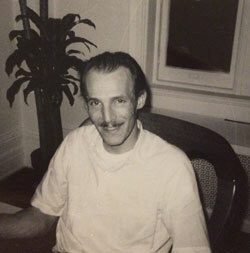 A snapshot of Donald P. Herbert, provided to us by his daughter, Catherine Yee. 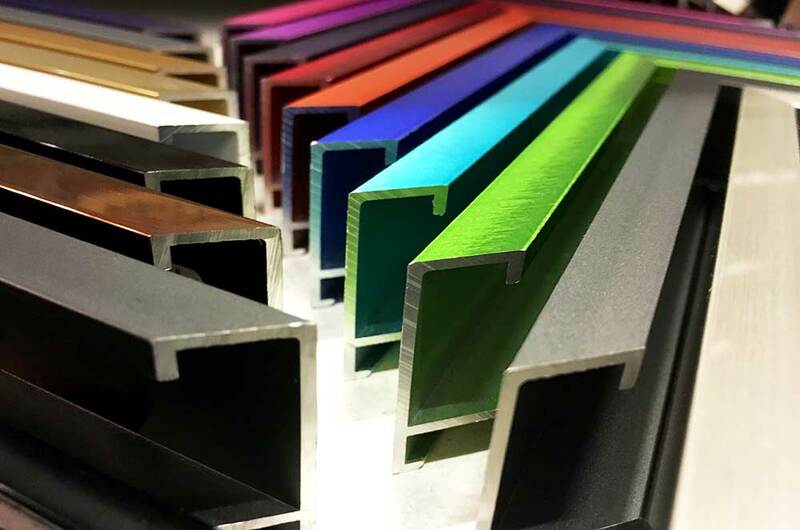 Today, the frame known throughout the framing industry as the metal section frame rests mostly in the manufacture of the Nielsen Bainbridge group, whose Canadian division obtained the original patent upon purchase of the company Frameguild Mouldings. Frameguild purchased the Canadian patent from Herbert in 1970. Nielsen is the biggest and most widely known manufacturer of this type of frame, and has made its own patented improvements on Herbert’s original design. Donald P. Herbert held patents for his design of the metal section frame in many countries, including the U.S., and was the receiver of an International Design Award in 1969 by the American Institute of Interior Designers (today called the American Society of Interior Designers). We decided to ask Catherine Yee more about her father and his invention after searching the Internet for what little information we could find (namely, Wikipedia). She was gracious enough to speak to us by phone and spoke of the volumes of information she and her sister have about Herbert and his designing of the metal section frame. It was clear to us from Catherine’s first email that Herbert had a relationship with Kulicke beyond acquaintance, as Catherine referred to him as Bob in her first email – whereas everywhere else there is information on Kulicke, his first name is always listed as Robert. As it happens, their relationship was that of business – Herbert worked at Kulicke’s frame company as a sort of rep, working for the company beginning in 1960, and later on as a manager in the business – but also one of familiarity as they were also friendly neighbors, living across the hall in separate apartments for a time. Though by Herbert’s death, the pair were no longer on speaking terms, according to Catherine. Finding information on Herbert’s metal section frame design and its genesis to fill a need in the market is available, once you know where to look. I guess the hard thing is knowing to look in the first place. Donald Herbert died relatively young, at 56 in 1982, which meant his patent had only been on record for 12 years in the U.S., and had only been brought into conception 2-3 years prior. Kulicke and his frame company, and Kulicke’s reputation as innovator in the field, far outlasted those years. 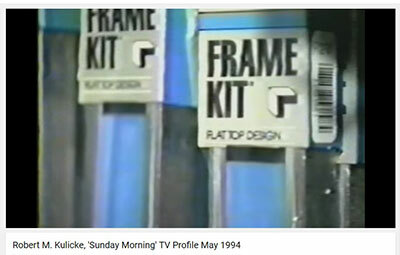 When Kulicke was profiled on CBS Sunday Morning by Anthony Mason in 1994, his name is credited as the “Kleenex of the frame world, a standard…” Images surrounding Mason’s words include that of metal section frame kits. The curious thing is how it came to be misconstrued that Kulicke was the inventor of the metal section frame when Herbert was the sole owner of the patent. There is no real clear-cut answer to this inquiry, especially as these events occurred so long ago. Catherine reasoned that it had a lot to do with her father’s death at an early age, and that first sales of the metal section frame were billed through Kulicke Frame. Along with Kulicke and Herbert’s close relationship, in both business and friendship the assumption was made somewhere along the line that Kulicke was the designer of the metal section frame. It is something Kulicke indeed attributes to himself as his in a 1990 interview with Picture Framing Magazine and in it Herbert is only a sideline player. Now, whenever Catherine and her sister happen upon articles that reference Kulicke as the inventor of the metal section frame – whether on blog posts, such as ours, or in the general media, such as the New York Times as well as trade publications (PFM) – they make it a point to contact those publications with the correct information about the genesis of the metal section frame. It was in this way that she found our blog and her way to us. Catherine mentioned she has had more luck with blogs in getting them to correct their info than actual media publications. We in no way mean to discredit Kulicke’s contribution to the world of framing or his mark in frame history. His welded aluminum frame, which does not come apart in pieces in the way the metal section frame does, is directly responsible for a goodly portion of our own framing business and was a revelation for contemporary picture framers when first introduced. Original welded aluminum frames bearing the Kulicke stamp are a rare find and collectible from a framing history standpoint. Kulicke was a master frame maker, and the framing industry has a lot to credit him for the advancements he made. Despite the attribution of the design for the metal section frame having gone to Kulicke by sources such as the New York Times, et.al, all other evidence (that we could find on our own, and that provided to us by his daughter) point to the design of what became the most ubiquitous type of frame in the industry lying in the domain of Donald P. Herbert.